Officials in an Ohio town have decided not to enforce a new law decriminalizing recreational cannabis, just days after the town voted yes on the measure. Officials in an Ohio town have decided not to enforce a new law decriminalizing recreational cannabis, just days after the town voted to downgrade penalties for those found to be possessing or using the substance. The Ohio city of Newark (pop. 48,000) voted on Election Day to downgrade the crime of simple possession to a minor misdemeanor, meaning that those found to be in possession of 200 grams of cannabis or less would not face any fines or jail time. The measure was pushed by an activist group called the East Central Ohio Decriminalization Initiative, co-founded by two Newark mothers, Leanne Barbee and Alissa Baker. It ultimately passed with 53 percent of the vote. According to Baker, the new regulations ideally would serve as a template for other cities looking to experiment with looser regulations surrounding cannabis. This is an opportunity to take advantage of something and show other cities that this is something that could be beneficial to help other people. Three other Ohio towns – Bellaire, Logan, and Roseville – passed measures on Election Day similar to that of Newark. Earlier this year, the Ohio state Legislature passed a limited medical cannabis bill in which those suffering from certain medical conditions would be able to obtain the substance. Earlier this year, the Ohio state Legislature passed a limited medical cannabis bill in which those suffering from certain medical conditions would be able to obtain the substance. Instead of adhering to the measure passed by the city’s voters on Election Day, city officials have instead decided to prosecute those possessing 200 grams or less of cannabis in according to state law. Doug Sassen, the Newark law director, stated that state officials were not required to adhere to city law in prosecutions relating to cannabis. It’s just an option that’s available if we chose to pursue it and we’re going to choose not to pursue it… The passage of this initiative really isn’t going to change anything in the manner in which we prosecute possession of marijuana. Newark Police Chief Barry Connell also made clear that the city’s vote will not affect the manner in which the police target cannabis crimes since the police had been adhering to state law regarding such infractions anyway. 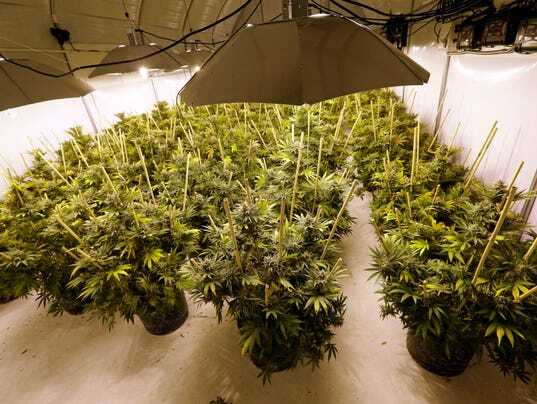 Newark is not the only Ohio town taking such steps: Michael Kovalyk, the police chief for the town of Bellaire, also said that arrests for cannabis possession and use will continue in the town in accordance with state law. While the Buckeye State does allow for the legal use of medical cannabis, recreational use is still prohibited. Those found to be possessing 100 grams of cannabis or less (or any paraphernalia) face a fine of $150. They would not face any prison time. Those found to be in possession of 100-200 grams face a fine of up to $250 and a possible jail sentence of up to 30 days. According to a spokesperson for Ohio Attorney General Mike DeWine, state law still considers possession of large amounts of cannabis to be a felony that carries heavier sentences.